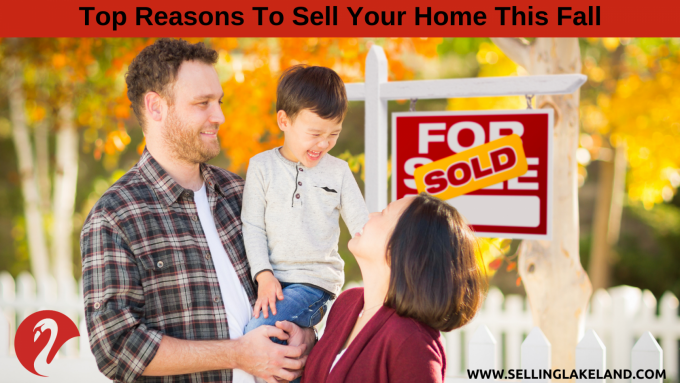 Have you been thinking about selling your home? Are you still waiting for home prices to increase? Well then you come to the right place as I’ll break it down for you…….so keep reading! Let’s define Supply and Demand for a moment. The price of any item, including a home is determined by the supply of that item, as well as the demand for that item. As the inventory of homes available for sale is shrinking and the demand that buyers have for those homes continues to grow, prices will increase. A contributing factor of the low supply of existing homes goes back to the housing boom. As inventory was going up nationally and here in Lakeland, builders were building before everyone realized the crash was taking place. Then in 2010/11 we were cleaning out the foreclosure inventory while more and more people stayed in their homes longer which resulted in a dried up housing inventory. In addition, consumers citing favorable interest rates at that time as a reason why it’s a good time to buy a home. Housing supply at the national level for single family homes is at 4.2 months of supply, which is considered a seller’s market. Keep in mind 5-6 month is a normal market, while over 7 months is a buyer’s market. Lakeland’s supply and demand is currently at 2.5. I think the most affordable time to buy a home is now. I believe prices are going to increase, although at a slower pace. While interest rate have increased recently, they remain at the lowest for a future homebuyer. There is less competition for a home seller now. While there is still not enough homes on the market to satisfy the number of buyers in the market, which means there is less competition for you, the home seller. How would you feel to put a home on the market today and within a month your home is sold. That is a great problem to have. The average days on the market nationally is 27 days. In Polk County, the average days on market in all pricing categories and style of homes is 51 days. For Lakeland, the average time on market is 41 days. Last year the average days on market for August 2017 was 58. Loans close faster which is a contributing factor. We are seeing these numbers mainly because the average time to close on loan in the last 12 month hovers around 45 days. Student debt have crippled millennials to purchase home along with rising interest rates and home prices. However, experts predict that millennials taking a plunge to become a vital part. These buyers are now the largest generation actively engaged looking for homes. They are seeing the value in homeownership rather than wasting their hard earned money in rent each month that will never contribute in building equity. Millennials account for a large number of home buyers taking out a mortgage, due to the pressure to lock in a deal quickly due to increasing home prices. Generally, home owners sell their home within 5-7 years of purchasing. Since 2012, the annual appreciation is 6.2% nationally. Lakeland’s average home prices in Lakeland $126,000. 2018 average home price in Lakeland so far is $208,000. The potential growth in family wealth over the next five years based solely on home equity based on a $250,000 home purchase today is $49,697 according to the home price expectation survey 2108. For that reason, the time to sell, buy and move up to a house is now. Every day, thousands of homeowners regain positive equity in their homes. Some homeowners are now experiencing values even greater than those before the Great Recession. If you’re wondering if you have enough equity to sell your house and move on to your dream home, let’s get together to discuss conditions in our neighborhood! We will be happy to provide you with a free market analysis along with a free home seller’s guide. While an economic slow down for 2020 is predicted and I’m sure you will see all sorts of crazy headlines in the news along the way, keep in mind that I will do my best to bring the facts of the housing market. If you are thinking about selling your home, message us or give us a call at 863-712-4207.